Your insured property damage can happen in a number of ways and can have a number of sources. North Carolina seems to be a favorite landing spot for hurricanes. Though we frequently see regular hurricanes, the kinds of catastrophic events that cause damage in the state are more than just hurricanes, and our Clayton NC Public Adjusters have worked with all of them. Frequently local NC property claims can be the result of a single cause such as vandalism, yet other sources, as we saw with Hurricane Irene in 2011, can be more complex with hurricane damage that involves wind damage and flooding. Having the services of a seasoned Clayton Public Adjuster beside you to give you good information can maximize your property damage claim. Using a Clayton Public Adjuster is not about getting more money than the actual damage. Our Clayton Public Adjusters are focused on collecting the full benefit of the insurance homeowner policy payment that you’ve paid on since you insured your NC property and our local Clayton Public Adjusters will help do that. Way too often, the company insurance adjuster has a large number of cases and can overlook less obvious things, and yes,even some big ones are missed too. In the end, those missed items can end up being a big underestimate issue when you go to repair and rebuild your affected property. Local Clayton Public Claims Adjusters work to ensure that we find all the property damage and it’s properly submitted in your property claim. An insurance company’s claim adjuster’s paycheck is received from the insurance company, so the company adjuster has no specific reason to do a lot of behind the scenes inspection that could end up being detrimental to the damage claim. For the same reason one doesn’t hire the same legal representation as their spouse in a divorce, it brings better results to bring in your own advocate in any North Carolina homeowners claims process – and that would be American Property Loss’ Clayton Public Adjusters. Below are some of the causes of local Clayton damage claims and where American Property Loss local Clayton Public Adjusters can help you! A peril, as referred to in an insurance policy, is a cause of North Carolina property loss, such as fire or flood. An NC homeowners insurance policy normally provides coverage for the perils of fire, lightning, and extended coverage. Extended coverage includes coverage for the perils of windstorm, hail, explosion, riot, civil commotion, aircraft, vehicles, smoke, vandalism, malicious mischief, theft, and breakage of glass. Learn more about each peril and how your homeowners coverage will likely handle it. Our local Clayton Public Adjuster services are familiar working with all these items and can more easily help you get through the homeowners claims process. Our local North Carolina Clayton Public Adjusters go to bat for you to make sure you get the full value for your covered North Carolina loss. 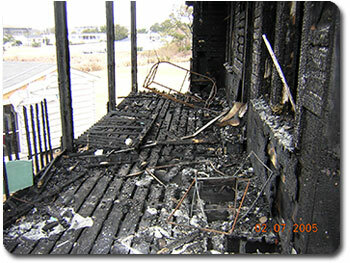 Annually, thousands of North Carolina insured properties experience fire, soot and smoke damage. Fire, in its most common form, can result in a blaze, which has the potential to cause physical damage through burning. Fire losses can be a combination of fire damage and smoke damage. American Property Loss’ Clayton Public Adjusters have assessed many North Carolina fire damage claims and helped the property owners to receive a thorough and complete settlement from their insurance company. Hurricanes for the most part leave entire regions in chaos with varying property damage ranging from roof damage to as severe as complete loss of property. A hurricane is a very powerful storm that can produce violent winds, large waves, very heavy rains and floods. North Carolina is regularly a target for hurricanes as witnessed with Hurricane Irene property damage claims in 2011. American Property Loss’ NC Clayton Public Adjusters have assessed many local NC hurricane damage claims and helped the property owners to receive an honest and thorough insurance settlement from the homeowners insurance. Violent storms that leave a swath of property damage and death behind them. Tornadoes occur most frequently in an area called “Tornado Alley,” a strip of land running from Texas north to Minnesota. However, tornadoes do occur in any state, with some tornado wind speeds frequently reaching 200+ miles per hour. As we saw with the tornado swarms on April 16, 2011 in Central North Carolina and more recently on Nov 16th, 2011 in Davidson and Randolph County, tornadoes do hit us – sometimes much harder than we expect – and leave a path of destruction. 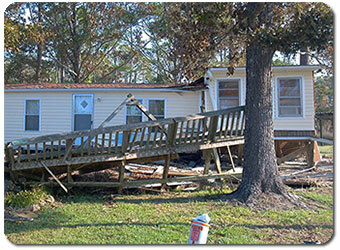 American Property Loss’ NC Public Adjuster services handle many tornado damage claims in the area. Regularly the cause of fires or damage to electronics and other parts of your home, lightning is caused when storm clouds cool below a certain temperature, and positive and negative electrical charges in the clouds’ water vapor separate from top to bottom. Just one close lightning strike can damage all electrical components in a location as well as start a fire. NC is prone to heavy lightning damage as a result of popup summer afternoon storms. American Property Loss local NC Clayton Public Adjusters will work with you to find all the covered property damages and receive a fair insurance settlement from their homeowners insurance. A wildfire is an unplanned and uncontrolled fire that occurs in the areas where woods and homes overlap. These are not single home fires, but larger firestorms that can threaten multiple homes, and typically burn many acres of forest. 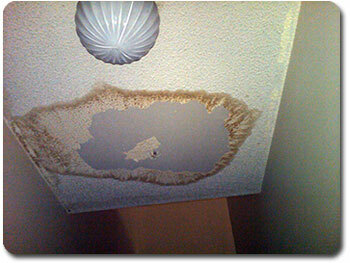 Due to ongoing drought conditions in North Carolina, we are seeing a rise in these types of NC property damage claims. Damaging flooding occurs throughout the U.S. every year. Floods cause billions of dollars in flood damage in the United States every year. Our NC Clayton Public Adjuster services have been onsite with many local NC flood claims and helped the property owners to get an honest insurance settlement. Hail is the result of water droplets that freeze and fall to the ground as chunks of ice, also called stones. The larger the stones, the more harm they can cause to people and property. American Property Loss’ Clayton Public Adjusters can examine property damages with a knowledgeable eye to to maximize your claim for your covered Clayton hail property loss. Ice damage can happen when water is blocked by an ice dam in downspouts or any other way that prevents water from draining from your rooftop. When temperatures goes back down, the water can refreeze and work back up into roof materials causing roof damage, indoor leaks, mold and mildew and more. Additionally, ice buildup can bring down tree limbs onto covered buildings, drop power lines and cause other property damage. In the Clayton area, covered properties are frequently covered by freezing rain that can build up on exposed surfaces and cause major problems! Our North Carolina Clayton Public Adjusters have reviewed many local NC ice damage claims and worked with insured owners to receive a thorough and fair settlement from their homeowners insurance policy. Local NC power outages can occur in several ways — weather related, or not. If the power outage has occurred directly on your property – as opposed to widespread power outages, your homeowners insurance policy should cover you. Power outages can occur as a result of many reasons. Electrical short circuits, due to lightning strikes or a power overload, may interrupt electricity in the home. Water seeping onto electrical wires or into electrical outlets, or dropping tree limbs breaking power lines can also cause an outage. Food spoilage is an obvious type of insured loss due to an outage. Power outage claims can occasionally be tricky, but our experienced Clayton Public Adjusters will help you sort out your power outage damage claim. Our NC Clayton Public Adjusters can assess your power outage claim with a knowledgeable eye to get you fair value for their insured Clayton power outage property damages. Vandalism has different forms. One is graffiti, which could be in a form of written words or paintings made on the wall without the owner’s consent. Insurance policies also cover theft but there are a lot of limitations for such incidents. Vacant homes have different coverage and more limitations than those which are occupied. Vacant homes have higher probabilities of being vandalized or robbed. You should inform your insurance company when you are planning to vacate your house, so that you will be able to discuss your options. American Property Loss local NC Clayton Public Adjusters will help you to find all the covered property and receive a thorough and good settlement from their insurance company.